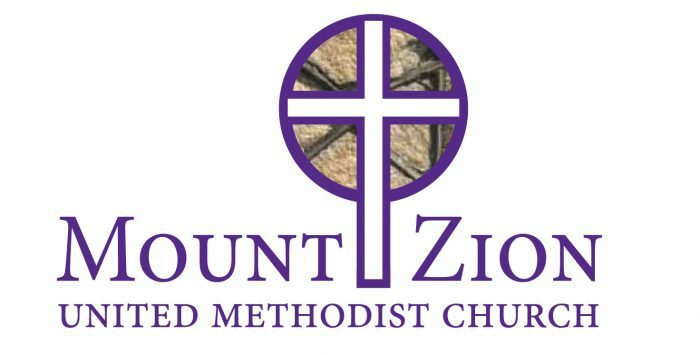 The United Methodist Women’s Unit at Mount Zion is comprised of “circles” (described below) overseen by a Leadership Team. The Leadership Team is comprised of the unit officers, the presidents of the circles, and the pastor. 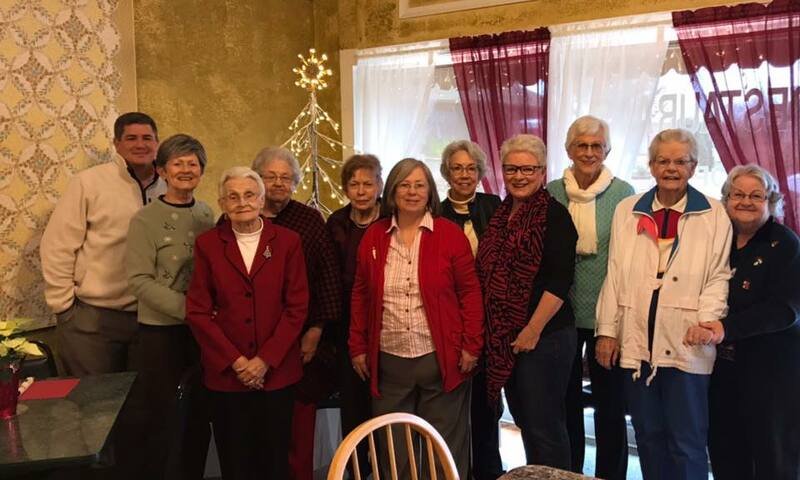 Pastor Gene Aiken and the ladies of the Mount Zion – Central United Methodist Women enjoying their Christmas Luncheon, December, 2017. Our newest “circle” is our E-Circle. It’s completely electronic! We spread the news of church events, UMW projects and district events. There are no meetings to attend! All you have to do is open your e-mail. All of the members of the Beverly Smith Guild are members of the E-Circle. The attendance varies from month to month, but the members who attend are a unique blend of women from their mid-40’s to mid-80’s in age. There is always laughter, love, and life present at these meetings. Through Bible Study, support of each other in times of sadness and troubles, and work on Mission Projects we strive to become better disciples of Jesus. Visitors are welcome with the hope that they may eventually wish to join us on a regular basis. There are no “dues”. The primary focus is on supporting the United Methodist Women mission programs, charitable campaigns and local missions. September 2016: UMCOR Donation $130 for New Orleans, Louisiana flood relief. September 2016: Start-Up for Operation Christmas Child Shoeboxes. September 2016: Guest Speaker, Hannah Reeves, Wycliffe Bible Translations. October 1, 2016: Attended 44th Anderson District Meeting, Blessed to Be a Blessing at St. Luke UMC, Walhalla, SC. Elizabeth Finley, Kristine Reeves, Sharon Chandler. Contributed $40 for baby diapers. October 2016: Donation of school supplies $25 to Central Elementary School (Blessing of the Backpacks). October 2016: Packing Party of 50 Shoeboxes for Operation Christmas Child. November 2016: Duski Colemans Angel Mission for OCC. November 2016: Postage and supplies for Operation Christmas Child Shoebox items. November 2016: An offering to Epworth Childrens Home and a donation of $100 to Meals on Wheels. December: Twenty Five fleece blankets donated to Helping Hands Children Home. January 2017: Program Building Community on the Border, Response Magazine, December, 2016. February 2017: Our annual mission fundraiser, Valentines Covered Dish. Luncheon, $280 in contributions. March 2017: Program Global Outreach through MADRE helping grassroots womens groups worldwide. World Thank Offering $25, and Legacy Fund $150. April 2017: Preparation of UMCOR Health Care Kits (50). July-August 2017: Special Mission Recognition to Jerry Chandler. July 2017: Ordering of Operation Christmas Child shoeboxes for 2017 mission, $35.20. Great turnout yesterday at our End-of-Year luncheon! Top photo: Irene Buchanan, Elizabeth Finley, Chery Amidon, Myra Armistead, Duski Coleman, Ann Wilbanks. 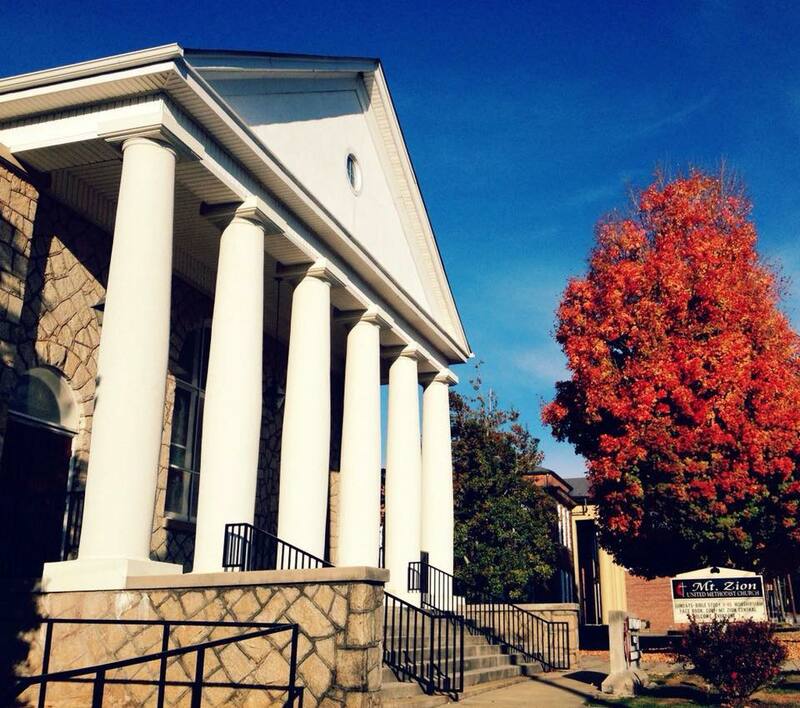 UMW End of Year Luncheon - Wed - May 2 @ 11:30 a.m. - Little Bistro in Liberty!